What a cutie Alison. Beautiful too. 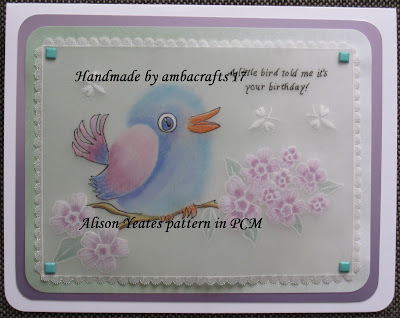 Beautiful work, I love the tweetie bird. 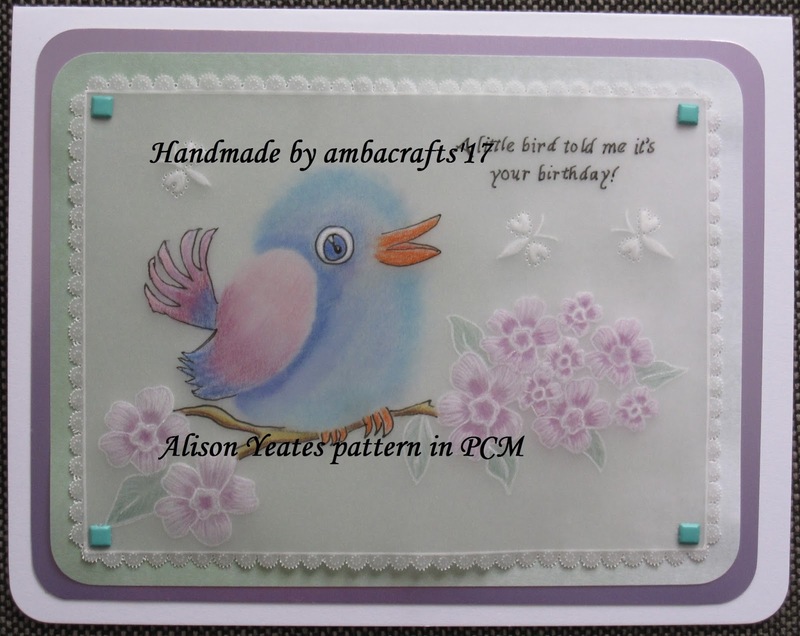 Greetings Alison, wow what a sweet colored little bird and card design.